What do you get a boater for the holidays? How about providing some much needed on-water and on-road help – including free tows back to his or her home dock – in case of a breakdown? Boat Owners Association of The United States (BoatUS) has three holiday gift ideas that are perfect for any boater, sailor or angler. The gift of on-water towing. Give the gift of a BoatUS Unlimited Towing Membership with towing service provided by TowBoatUS. For saltwater boaters, an annual membership is just $149 per year, and for freshwater boaters the price is $72. Both provide 24/7 dispatch assistance, and your boater will never have to pay out of pocket for a tow back to the dock or for a soft ungrounding (the nationwide average cost for on water towing service is $785 for non-BoatUS members). 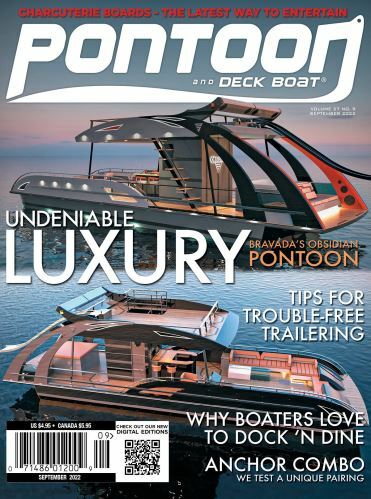 Included with an Unlimited Towing Membership is a subscription to the award-winning BoatUS Magazine; exclusive fuel, transient slip and repair discounts; and the opportunity to earn rewards on boating gear at West Marine stores. The gift for roadside breakdowns. For a stocking stuffer that offers big benefits to a trailer boater, consider gifting a BoatUS Membership with Unlimited Trailer Assist for $38 that takes care of roadside breakdowns 24/7. In addition 100 miles of free on-road towing for both a disabled trailer and its tow vehicle to a safe location, lockout, flat tire, battery jump and fuel drop-off services are also included. The gift that makes boating better. A BoatUS Membership costs just $24 but includes more than 25 valuable benefits and services, including round-the-clock on-water or roadside dispatch with BoatUS paying the first $50 in towing services, a BoatUS Magazine subscription; exclusive fuel, transient slip and repair discounts; and rewards on boating gear at West Marine stores. Your boater can also take advantage of BoatUS’ national boating advocacy efforts and safe-boating programs including free boating safety courses from the non-profit BoatUS Foundation.